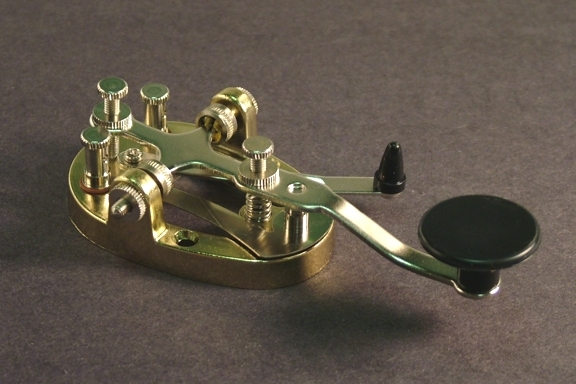 Thousands of Morse students have started with a key like this, going back to the 1920's. 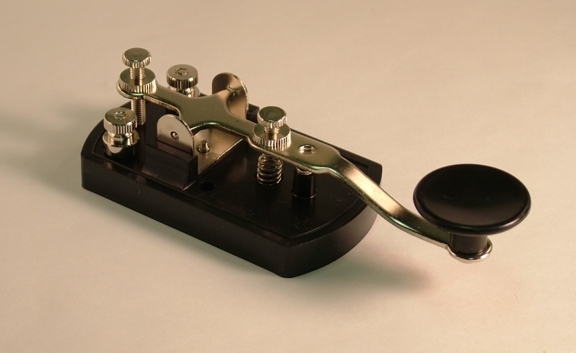 Perfectly adequate for sending practice and the casual CW user, it will operate any transmitter at a fraction of the cost of a "premium" key. It is also the perfect "low risk" gift key for the child or grandchild who might be interested in learing code. It is very similar (if not identical) to the key used in the MFJ 557 training set. The key features three-way binding posts, and both spring tension and contact spacing are adjustable. The mounting hole spacing is 1-1/16"
This is the famous "Japan ball bearing key," which was in continuous production from the early 1950s until 2010 It feautred a brass-plated base, silver contacts, a shorting switch, and adjustable ball bearing trunion for smooth and reliable operation under a wide range of circumstances. Due to production problems at the factory in Japan, manufacture of the AMECO K-4 has been discontinued and the keys are no longer available. 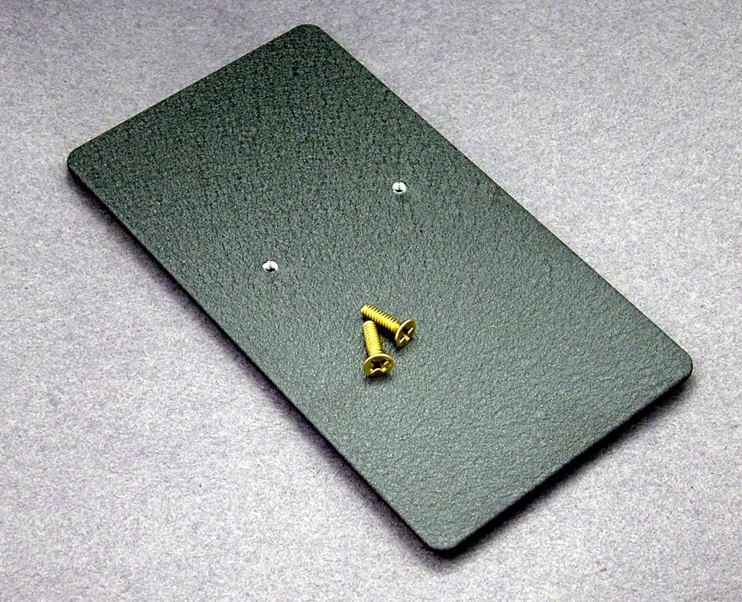 Most replacement parts for the key are available, as are the UKB key bases below. Need a base for an AMECO K-4 key? Our "universal key base" is a perfect match. It's a black crinkle-finish aluminum plate, 5.5" x 3" with four cushioned feet, tapped #8 screw holes to match the K4 (and many other keys with 1-1/2" hole spacing), and two brass screws with tapered heads so they won't interfere with the K-4's shorting switch. The plate is aluminum so it can easily be drilled to fit other keys. Made with pride in the USA. felt no fatigue during long transmissions. 73, and happy Thanksgiving day!